A new local housing development has paid tribute to a famous footballer who played for Lancashire clubs and made history as the first ever paid player. Scotland-born Fergus Suter moved to England to play for Darwen FC in 1878 and gave up his trade as a stonemason soon after. He led Darwen to be the first ever northern side to the quarter finals of the FA Cup. Two years later Fergus moved on to play for Blackburn Rovers, which sparked even more of a fierce rivalry between the two teams. He was also known to be the first ever football player to be paid a wage, as the sport was known to be amateur at the time. 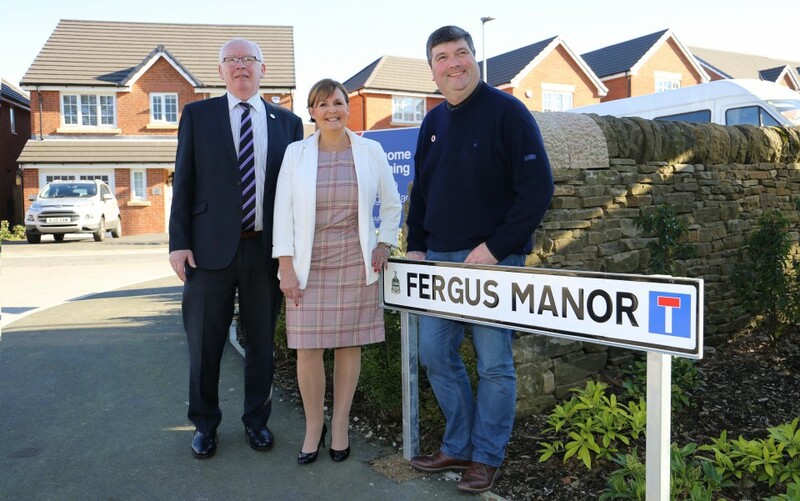 The Council has worked with residential property development company, Wainhomes, for the past two years to build the houses on Fergus Manor, located near Bolton Road. The name came about as the developers asked for something a bit different to catch the eye of buyers. I am pleased that the developers have recognised Fergus Suter in the naming of this new street.